Discover how the mechanics of the mind impact emotions. 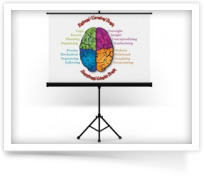 Building on the information in the General Reports, these webinars give you a greater understanding of your brain and how to leverage your Squad. Our Interpretation Webinars will bring your Style to life as we share stories about the different Styles and they seek to get their need met. If you understand your brain, you can direct and influence how it functions and how it feels. Learn about the four functions of your brain, their innate talents and capabilities, and the implications for self-actualizing. Understand the connection between the four quadrants of our brain and the role each plays in your life. 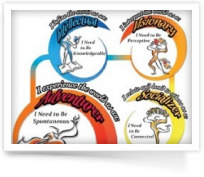 Your ultimate goal is to be able to coordinate activities between the four quadrants of your brain. Each Style has a specific need that must be met, and each plays a different role given its location in the brain and its innate talents. Learn how to fully leverage your Squad in order to maximize your capabilities and become who you are meant to be. Put an end to relationships that are dysfunctional or don't meet your needs. 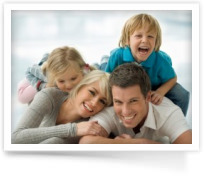 Learn about the Striving Styles needs-based approach to relationships. Gain insight into how each of the Striving Styles approaches relationships, the needs that must be met in the relationship, and how to negotiate to get those needs met. Get the career you are meant to have! Learn how to apply an understanding of your Predominant Style and Striving Style Squad, to determine the career that will best meet your needs, so you feel satisfied and fulfilled. No more second guessing or wondering what you should do! When you look at career decisions from the perspective of getting your needs met, it becomes easy and you can avoid trial and error approaches. Whether you want to improve the career you have or are contemplating something completely new, make an informed choice using the Striving Styles. Are you are anxious about being a ‘good’ parent? How are you meant to parent? 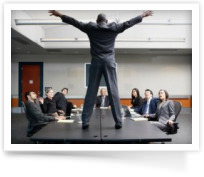 Maximize leader, team and employee potential! The Striving Styles Personality System expedites development and shifts patterns of behavior that get in the way at work. Intended for leaders, this webinar teaches you how to leverage the intrinsic motivation of your employees by understanding the needs that drive their behavior. It supports you to explore how being self-protective in seeking to meet your own needs gets in the way of your employees, your team or your organization achieving its full potential. Bring your Leader Style to life with this webinar. 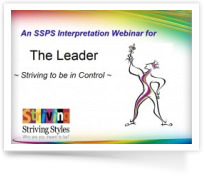 This interpretation webinar is full of stories and anecdotes about the Leader Striving Style. It allows you to deepen your understanding of the innate needs that drive the behavior of a Leader Style, and how to move from self-protective to self-actualizing behaviors. 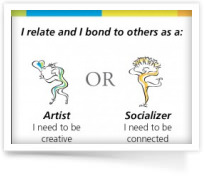 Bring your Socializer Style to life with this webinar. 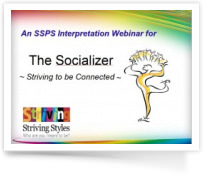 This interpretation webinar is full of stories and anecdotes about the Soclializer Striving Style. It allows you to deepen your understanding of the innate needs that drive the behavior of a Socializer Style and how to move from self-protective to self-actualizing behaviors. It supports you to build greater self-awareness of your Style and the role it plays in your life. Bring your Artist Style to life with this webinar. 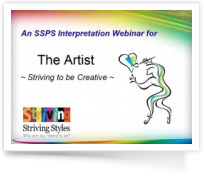 This interpretation webinar is full of stories and anecdotes about the Artist Striving Style. It allows you to deepen your understanding of the innate needs that drive the behavior of an Artist Style and how to move from self-protective to self-actualizing behaviors. It supports you to build greater self-awareness of your Style and the role it plays in your life. Bring your Adventurer Style to life with this webinar. 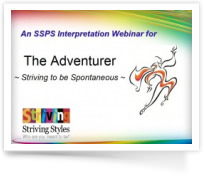 This interpretation webinar is full of stories and anecdotes about the Adventurer Striving Style. It allows you to deepen your understanding of the innate needs that drive the behavior of an Adventurer Style and how to move from self-protective to self-actualizing behaviors. It supports you to build greater self-awareness of your Style and the role it plays in your life.